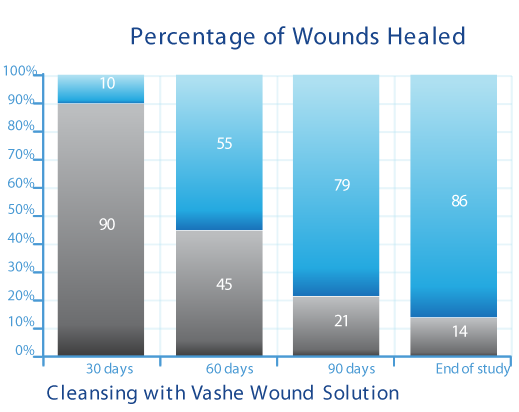 Unlike some wound irrigants that may inhibit wound healing, Vashe Wound Solution is produced at a skin-friendly pH, so it remains safe to patients, clinicians, and the environment. 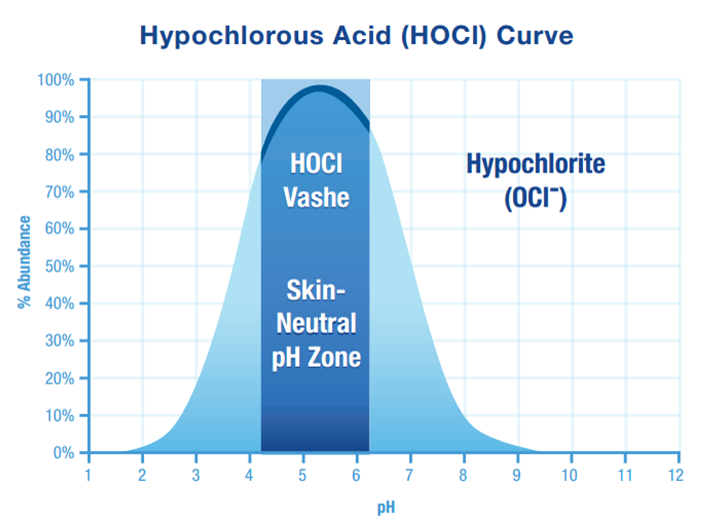 The proprietary formulation of Vashe Wound Solution contains the highest concentration of hypochlorous acid. Normal Use: 3-5 Minutes Per Application. For heavy amounts of necrotic tissue and slough: 5-10 minutes using a generous amount of Vashe Wound Solution and gauze dressing materials to irrigate and soak the wound prior to any debridement procedures. Niezoda JA, Sordi PJ et al. Evaluation of Vashe Wound Thereapy in the clinical management of patients with chronic wounds. Adv Skin Wound Care. 2010;23(8):352-357.